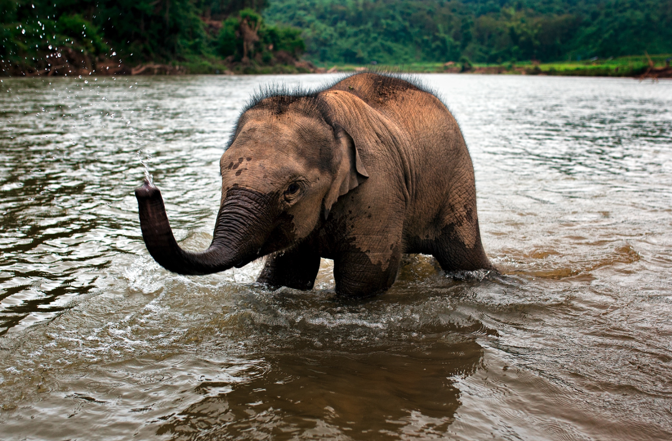 Spend the day exploring the Lao jungle beside baby elephant, Kit, and his mother, Tongkhun, and aunt, Mahn. After laboring in logging camps their entire lives, these gentle giants now spend their days splashing in the water, sauntering through the jungle, and nibbling to their heart’s content on the jungle greenery and treats guests can harvest specially for them. Amantaka exclusively collaborates with MandaLao Elephant Sanctuary and Tours, an organisation focused on the care and comfort of the Laotian elephants, providing the animals with best medical care and practicing a non-riding policy for the gentle giants. MandaLao uses only positive reinforcement training, pioneered by their elephant master, Prasop Tipprasert. In addition to an interactive day with Kit and his family, guests will enjoy a visit to the seldom seen Tad Kuang Song waterfall and ethnic Khmu village of Ban Hua Tad. 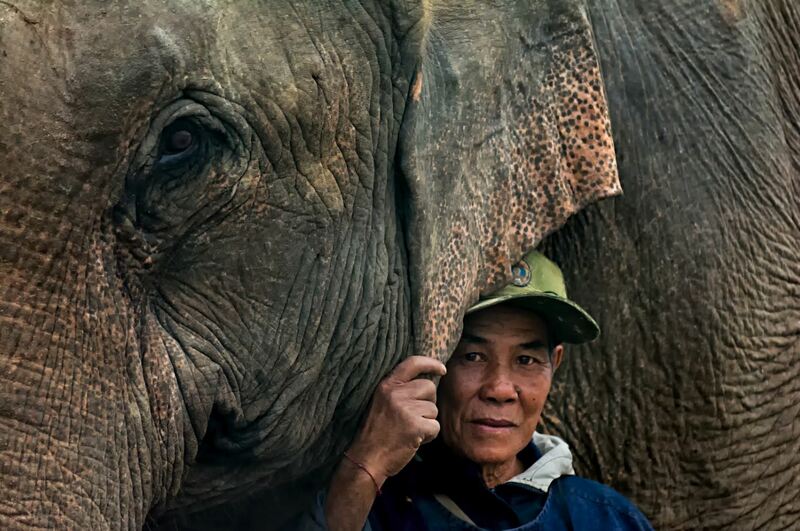 MandaLao is committed to ensuring the protection of both rescued elephants and of the local Lao communities. In joining this experience, guests will not only support these efforts but embark on a once-in-a-lifetime experience. 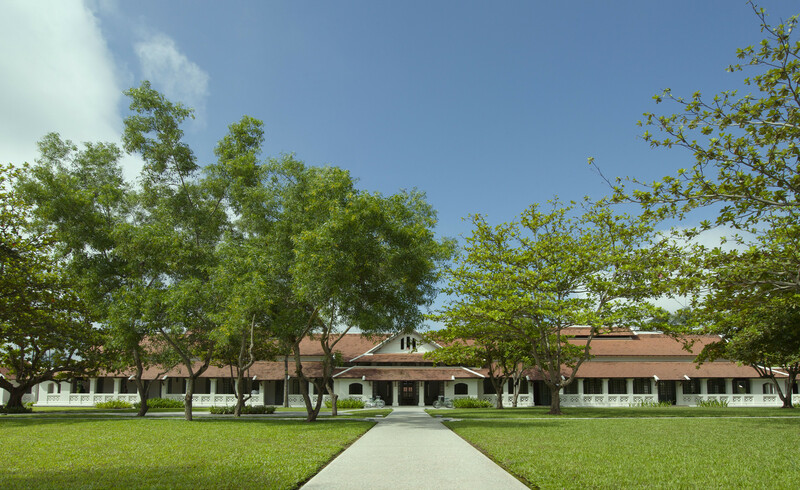 Departing Amantaka at 7:45am, guests will be begin their half-day tour with a drive to the village of Xieng Lom, where the MandaLao camp is located. Along the way, the driver will stop at a local fruit market so guests can hand-select several delicious elephant treats. Upon arrival, the designated guide will provide guests with an overview of elephant behavior, the MandaLao training techniques with baby Kit, and how best to interact with him, his mom and aunt. 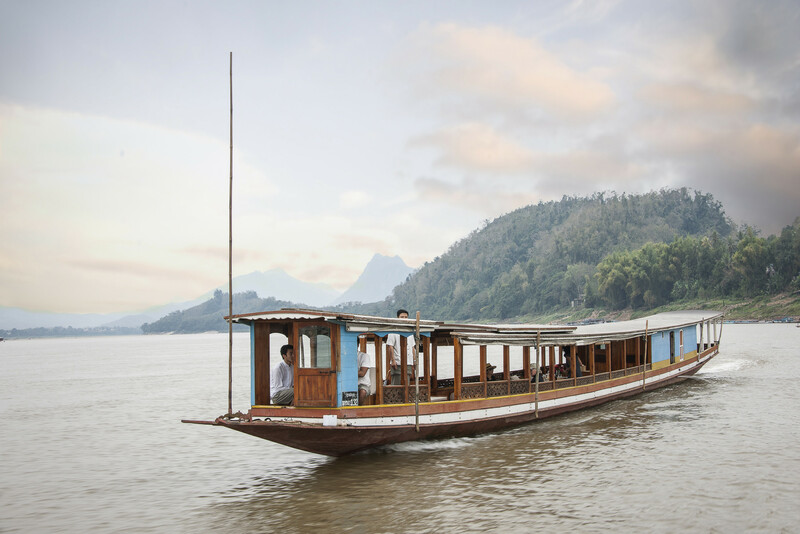 A quick boat ride across the Nam Khan River will deliver guests to the eagerly awaiting elephants. During the initial meeting, guests are encouraged to interact with and feed them — a sure-fire way to ensure instant friendship. Trying to sneak your treat past Tongkhun and give it to Kit can often be a challenge! The spa excursion involves using traditional brushes and soaps collected in the jungle are used to scrub down and rinse the elephants before beginning the therapeutic two-hour trek. Guests can also join in and help the elephants in the bathing process and delight in their pure enjoyment of being in the river. After crossing through a stretch of traditional Lao gardens guests will arrive at the jungle-covered Huay Nok stream. As they walk alongside the elephants and crisscross through the cool water, guests will experience a profound sense of understanding, respect and caring for these amazing animals. Additionally, the guide will illustrate to guests how MandaLao training techniques differ from traditional methods and how guests are supporting baby Kit’s development. Before Kit, Tongkhun and Mahn head back to join their elephant family, guests will have some time to bid farewell to their new friends. Hugs and pats, a last treat, and some final pictures are welcome. Guests will then continue the trek to the tranquil Tad Kuang Song waterfall. 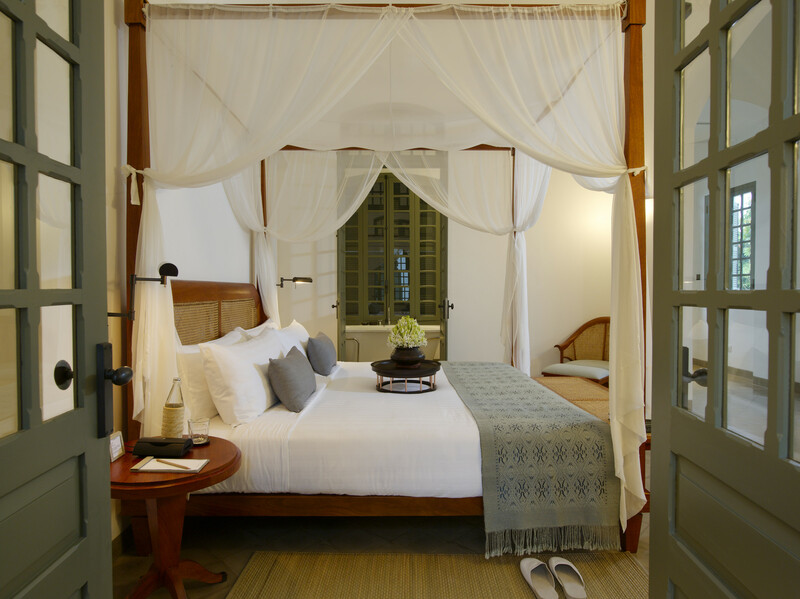 The calming experience will see guests enjoying in a beautiful ‘sala’, designed by Amantaka with traditional Lao snacks served. After a bit of meditation time by the water, guests will take a short walk up to an ethnic Khmu Ban Hua Tad village. The Khmu comprise one of three major ethnic groups in Laos and traditionally live and farm in moderate to high elevations. The villagers are very welcoming and the guide is able to assist with translation for any questions. Guests will then begin their trek back to the MandaLao camp, enjoying the scenery and varied environments and agricultural lands on the way. At MandaLao, guests will enjoy a fresh Laotian meal made with the camp’s organically grown produce. Guests are also encouraged to stroll through the organic gardens before returning to Amantaka.